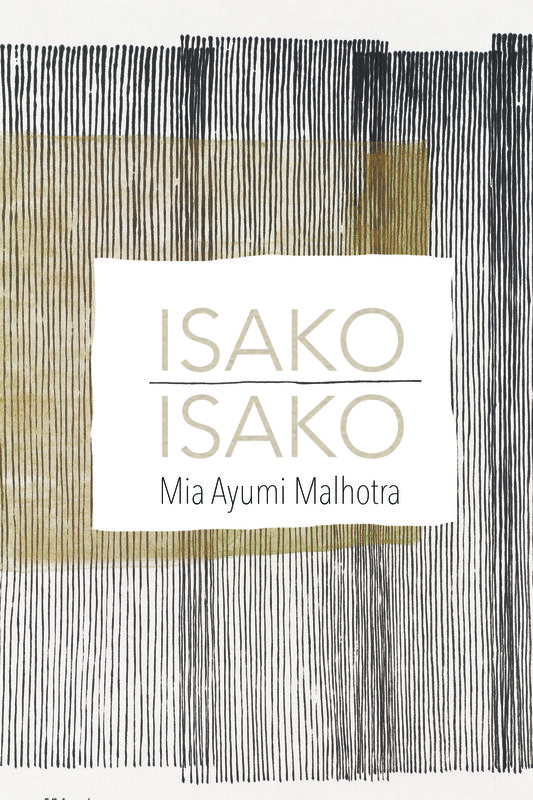 Isako Isako is a new volume of poetry by Mia Ayumi Malhotra, released September 2018 from Alice James Books. Isako Isako follows a single family lineage spanning four generations of female Japanese Americans to explore the chilling historical legacies of cultural trauma―internment, mass displacement and rampant racism―in the United States, and how it weaves together with current events. found in the ovaries’ epithelium. shuts the lights off, room by room. celled fact, a body humming with secrets. From "Isako Isako" by Mia Ayumi Malhotra (Alice James Books, 2018). Reprinted with permission of Alice James Books. of bovid incisors, muted tongue. Come, child. Lie with the lion. broken rocks, bullets for the journey. swallowed by fog: wing tip, cockpit. swallowed by jungle canopy ropy vines. looking down I see tennis shoes, notched rubber soles. faces made flat shiny pressed into stone. above the head and heavier. slatted runway into air, up top where breathing’s easier, where color’s turned back. circled off a closed circuit pricked as if by the point of a knife. Snow crunches under foot again the grackle of geese. Isako Isako have you run to your end. Isako Isako is there an end and if so is it near. Isako Isako will I see you again. Isako Isako you are mostly bone. My hand on your spine as you lower onto the white couch. Isako Isako I turn the pages of your life and find you on every spread. Eyes solemn beneath schoolgirl bangs. Foot turned to accentuate the line of your body. An Isako for every age. Isako Isako I bring you a Kleenex. I clip a hangnail and file the edges smooth. Isako Isako I want so badly to smooth the hair from your forehead. The way my daughter likes it when I sing her to sleep. Isako Isako you have so many faces. Isako Isako if I could reach out and touch one it would be enough. Isako Isako if I could take your words in my mouth. Press your cheek to mine and watch the skin dissolve. Isako Isako outside your window the cherry tree is in full bloom. Every branch lit with pink blossoms. A riot of renewed life. Isako Isako when I see you again it will be with a different face. Isako Isako you reach through time to take my hand. Isako Isako yours is such a small hand. Isako Isako the air in the room suddenly stirred. My hand clasped in your lap. Isako Isako my hands now brim with you. Isako Isako this page my hands this voice your breath. Isako Isako I can see it now. Isako Isako there is no end. Isako Isako I is you. stoic immigrant faces from another time. as the family stood behind a glass wall. white-hot and then burst to ash.